Feuer und Meerwasser zu Schaden gekommene Kameras und Objektive ausgestellt sind. Kameras und Objektiven aus Wetzlar bzw. Solms deutlich. Die glanzvolle Geschichte der Leica ist im Foyer des Leica Camera Werks Solms eindrucksvoll dargestellt. 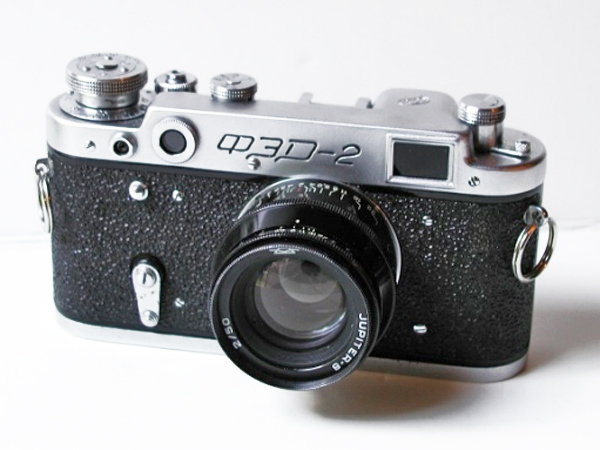 gelegen hat, und dem der Leica M6 aus neuester Produktion. glückliche Umstände spricht, aber auch für die Robustheit der Leica Produkte. neun Monate Aufenthalt auf dem Grund der Ostsee hinter sich. Als das Segelschulschiff 'Niobe' am 26.
hochliegenden Verflachung eines kaum fließenden Gletschers gelegen hat. die gewaltigen Temperaturen des Feuers die Frontlinse schmelzen. blieb vom anderen Objektiv nur ein Häufchen zerschmolzener Teile übrig, das an erstarrte Lava erinnert. Kamera und Motor wurden teilweise herausgerissen. Flug, am Boden und bei Kampfübungseinsätzen fotografiert hat. Erst ein Jahr später brachte ein Manöver der US-Marine-Infanterie das 'missing link' wieder ans Tageslicht. auslösen ließ, legte er sie schließlich bis zu seiner Entlassung vom Militärdienst beiseite. vermißte Kamera. Man ermittelte Meyer und stellte fest, daß es tatsächlich die vermißte Leicaflex war. des Leica Camera Werks in Wetzlar die Robustheit deutscher Präzisionsarbeit zu dokumentieren. ihn in seiner Werkstatt zeigt, einen gebührenden Platz gefunden. Valli das ramponierte Objektiv etwa 80 Meter unterhalb der Absturzstelle zwischen Steinen. Systems zum Inhalt haben, wurden damit wieder einmal unter Beweis gestellt. ergab, daß die Kamera nicht mehr zu reparieren war. Besitzer von Leica Kameras nicht beunruhigen lassen, denn Katastrophen sind nicht alltäglich, und so ist die Wahrscheinlichkeit, sein wertvolles Gerät auf diese Art zu verlieren, doch relativ gering. A while ago I got into a discussion about the longest telephoto lenses ever made, by Leica but also in general. Most Leica enthusiast are aware of the awesome 800mm TelyR. But not many are aware that Leica made a lens twice as long, a 1600mm f/5.6 Apo-Telyt-R. It was delivered in 2006 on special order from a rich photography aficionado, Sheikh Saud Bin Mohammed Al-Thani of Qatar, at a price of 16 million Hong Kong Dollars - the equivalent of 2,064,500 US dollars. 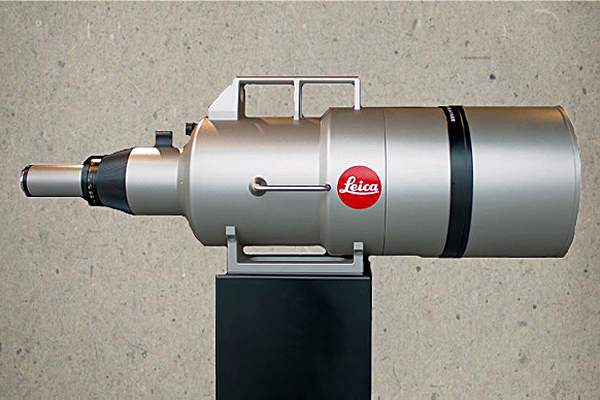 The lens is the only one ever sold, but a prototype is on display at the Leica factory showroom in Solms, Germany, and can be admired there. Unfortunately, little is known about the technical specifications of the lens. 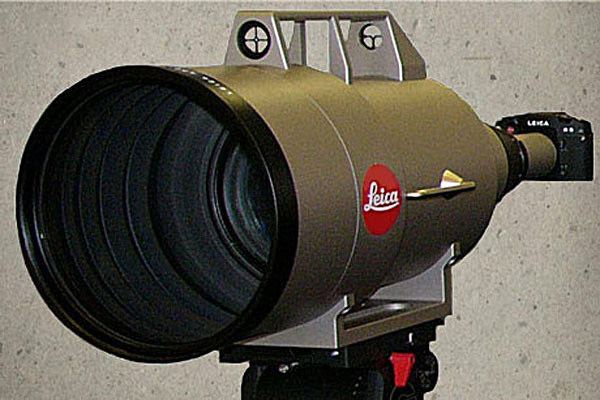 It has a bayonet mount for Leica's R-series cameras, is approximately 1.2m long (1.55m with lens hood attached), has a maximum lens barrel diameter of about 42cm, and weighs no less than 60kg. With a focal length of 1600mm, it covers a diagonal angle of view of merely 1.5 degrees. The lens should be compatible with Leica's 1.4x and 2x APO-teleconverters, increasing the focal length to 1:8/2240mm and 1:11/3200mm respectively. Getting sharp images from such a behemoth of a lens is a major challenge and requires a very solid tripod. The Danish Leica expert Thorsten Overgaard reported that Sheikh Al-Thani commissioned a specially-equipped Mercedes four wheel drive to carry his expensive lens and move it around. 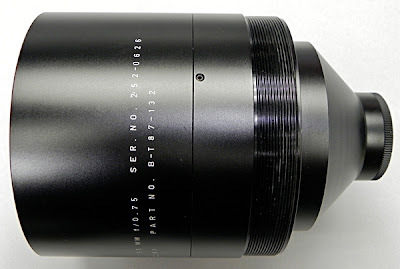 But this is very little compared to the truly longest and most powerful lenses ever made. Actually, the word lens is somewhat misleading because I am talking about astronomical telescopes. 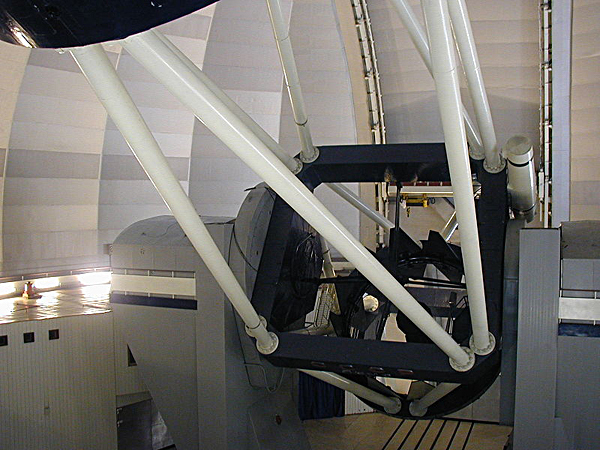 People have argued that a telescope is not really a lens, yet I argue it is. Astronomical telescopes routinely are used to take photographs. That, in principle, makes them lenses just like any other telephoto; they are just a lot longer and faster. One of the main aspects of an astronomical telescope is its light gathering power, or speed as we refer to it in photography. In this regard I have come up with some rather astonishing numbers. Currently, the largest telescope in operation is the Gran Telescopio Canaris. Its main mirror has a diameter of 10.4 meter (34.12 foot) The actual focal length is 16.5 meter which corresponds to a 16,500mm f/1.586 lens. 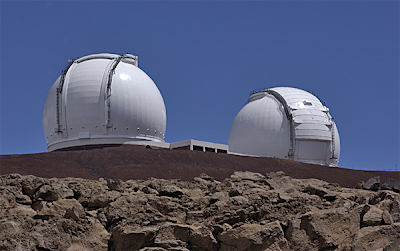 Similar in size are the Kec 1 and 2k telescopes on Mauna Kea in Hawaii. 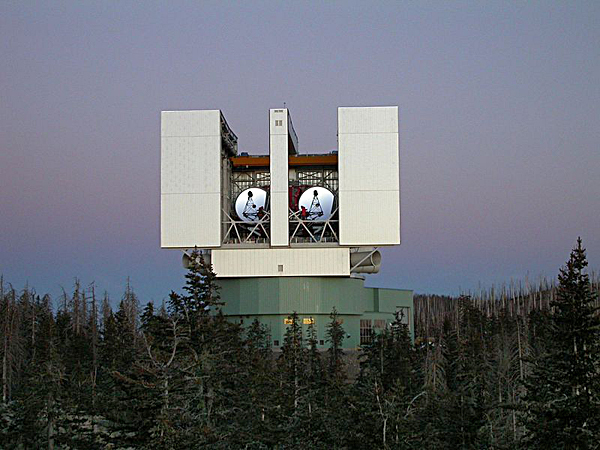 They have a diameter of the main mirror of 10 meter (32.8 foot). Their focal length is 17.5 meter, making them 17,500mm f/1.75 lenses. 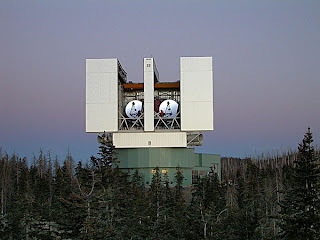 The Large Binocular Telescope at the Mount Graham International Observatory in Arozona consists of two parallel telescopes which can be combined for simultaneous viewing. It has currently the largest light gathering power of any earthbound telescope with a focal length of 9.6 meter, making it a 9,600mm f/1.142 lens. By these figures we can definitely see that there is a correlation between focal length and actual speed. 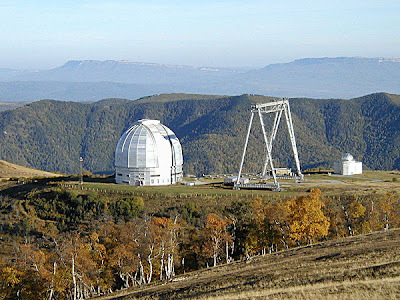 This becomes especially obvious when considering the BTA-6 telescope of the Special Astrophysical Observatory in Karachay–Cherkessia, Russia. It has a mirror with a diameter of 6 meter (19.69 foot). Apparently it has the longest focal length of any telescope currently in use with 26 meter (85.3 foot), effectively making it a 26,000mm f/4 lens. 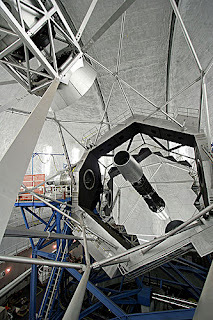 A European project to build the largest optical telescope on Earth took a big step closer to becoming reality in June of this year, when final approval came from the scientific consortium backing the new observatory. 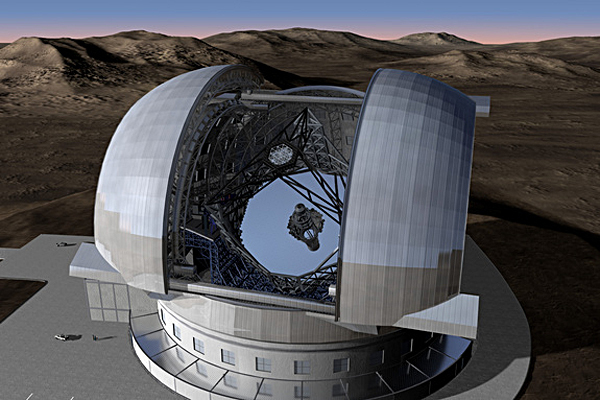 Plans for the mega-telescope, appropriately called the European Extremely Large Telescope (E-ELT), were approved by the governing council of the European Southern Observatory (ESO), officials announced. An artist rendering of the E-ELT. Building the E-ELT is expected to cost 1.083 billion euros, or roughly $1.35 billion at current exchange rates. 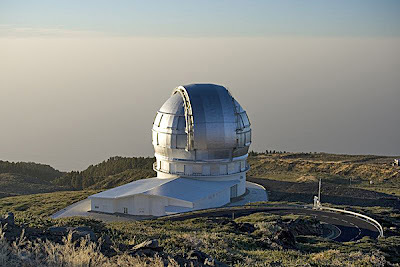 ESO officials have said that construction is expected to begin sometime this year, with the telescope becoming operational in the early 2020. Unfortunately, no information regarding its focal length and subsequent speed are available at this time. Very impressive instruments indeed. But for the time being I will stay with my 400 and 800mm lenses. They are a lot more portable, although also a lot slower. 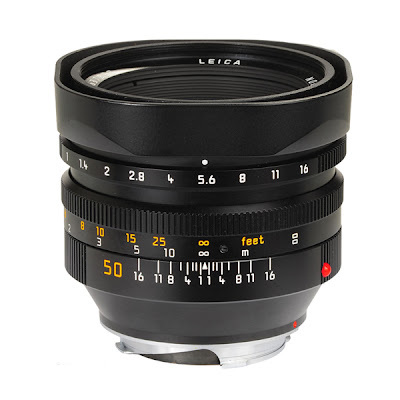 Leica has always had a very high reputation for making some of the fastest lenses on the market. The current 50mm f/0.95 Noctilux is the fastest aspheric production lens available from any manufacturer. But not only is it very fast, it is also an amazingly well performing lens, even wide open. 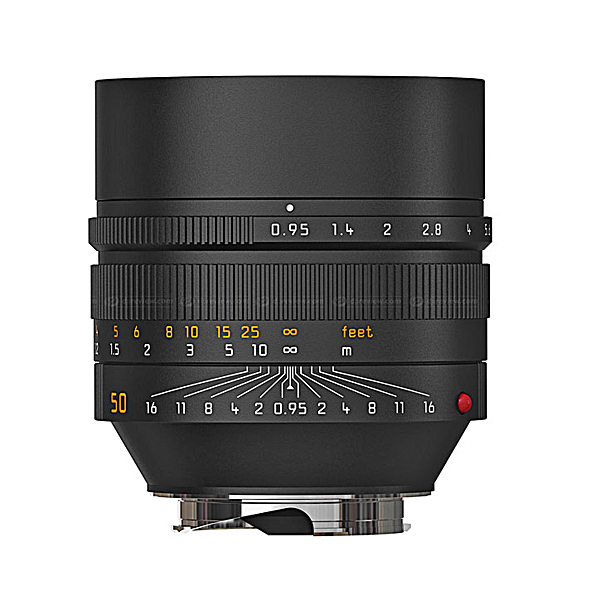 The performance at f/0.95 combined with some of the high ISO setting available on the M9 or even more so, the New Leica M, allows the photographer to shoot under available light conditions that were impossible to take advantage of in the past. 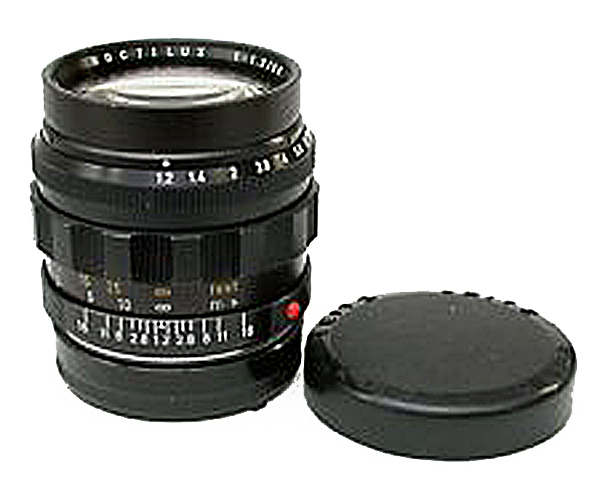 The Noctilux f/0.95 replaced the famous Noctilus f/1 which was first introduced in 1975. It too was an amazingly well performing lens, including the f/1 aperture, and many owners of this lens can consider themselves very lucky indeed. 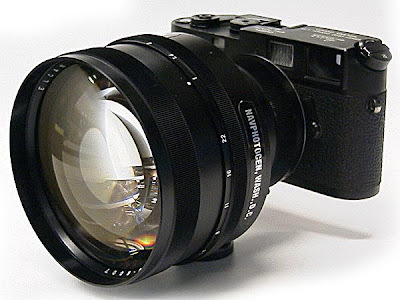 The Noctily f/1 was one of the crowning achievements of Dr. Mandler, chief lens designer of Leica in the 70s and 80s. He set out to make a replacement of the original Noctilux 50mm f/1.2 that was not only 50 percent faster but also better in overall performance, all without the aid of aspheric elements. He succeeded to do so, but not until the Leitz glass laboratory was able to develop a glass that enabled the production of the lens. To my knowledge, this glass is still of the highest refracting index ever produced and used in actual lens production. The refracting index was a previously thought of as unattainable ne 1.9005. The predecessor of this lens was the original Noctilux 50mm f/1.2. 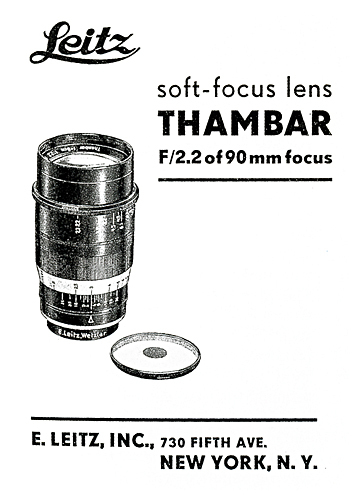 Introduced in 1966, it was the first production lens with aspheric lens surfaces. At that time, this was an incredibly complicated process that required a fair amount of hand grinding of the elements. Subsequently the lens was priced accordingly. Even by today’s standards the lens was an incredible performer. But the Noctilux lines of lenses are not the only extremely fast lenses ever made by Leitz. There were several others which have come and gone. 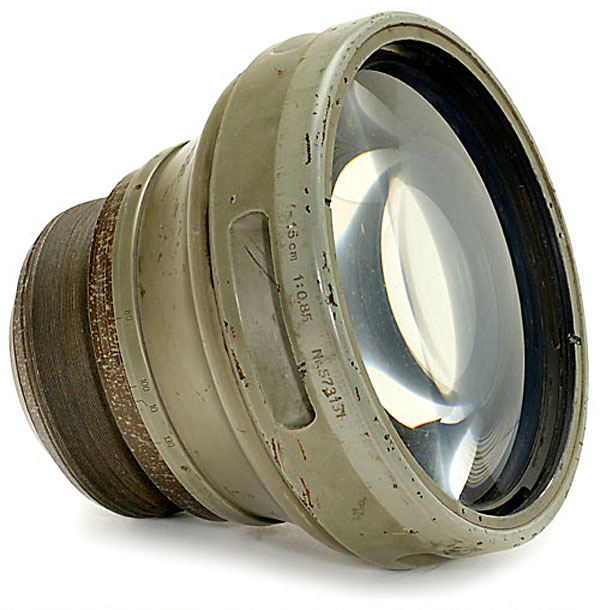 These were mostly special application lenses that had only limited use for general photography. One such lens was the ELCAN 90mm f/1. ELCAN was the trade name for Ernst Leitz Canada, the Canadian branch established by Leitz in 1952 in Midland, Ontario. The lens was made for the US Air Force as a special night photography application lens. Since focusing is very critical at that wide an aperture, and since the lens blocked most of the viewfinder because of its massive size, the lens had no focusing mount. Instead it came with three focus rings, engraved 50 meters, 100 meters and infinity. 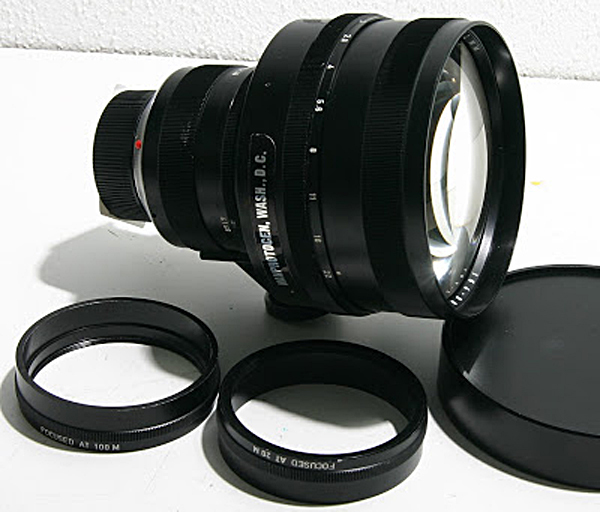 But there were lenses with even higher speeds like the Leitz-IR 150mm f/0.85 and the Leitz Summar 75mm f/0.85. Very little is known about these two lenses. 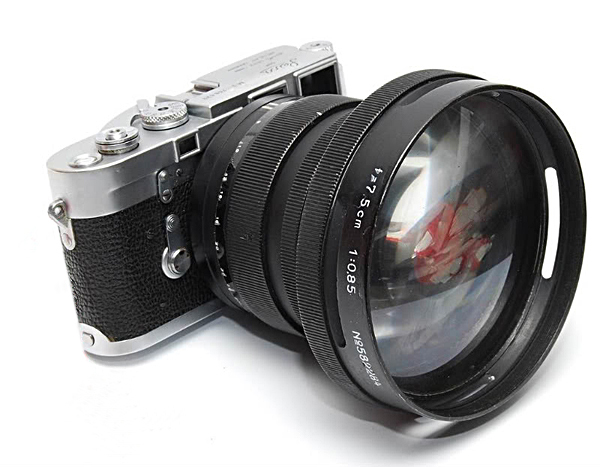 Apparently the 75mm f/0.85 Summar was used for x-ray photography while the 150mm f/0.85, considering the IR designation, appears to have been used specifically for infrared photography. 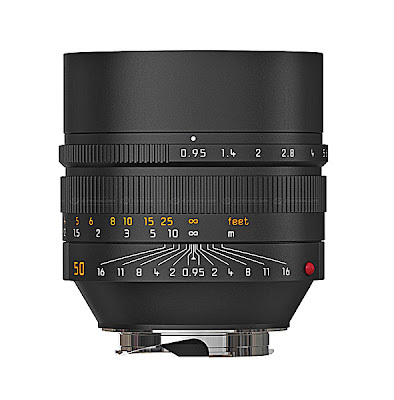 Finally, the two Leica speed champs were a 65mm f/0.75 and a 50mm f/0.75 lens. Both appear to have been designed specifically for x-ray photography. But I have seen regular color photographs made with one of them which looked quite interesting. They were mostly close ups of flowers, taken wide open. Needless to say, the depth of field was extremely shallow. Yet the in-focus areas actually looked quite good. Thus we reached the end of this excursion into the world of super fast Leica lenses. 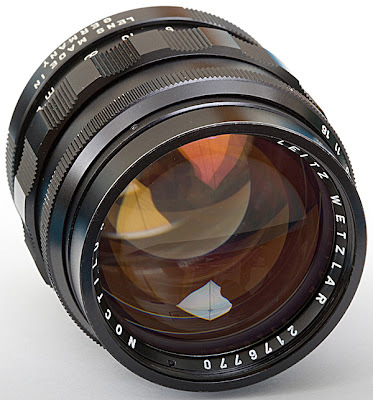 It is doubtful that we will ever see anything faster than the Noctilux 50mm f/0.95 in the future. With the ever increasing high ISO capabilities of modern digital cameras, the need for any such lenses is diminishing quickly. So, if you are interested, get what you can now. Tomorrow might be too late. 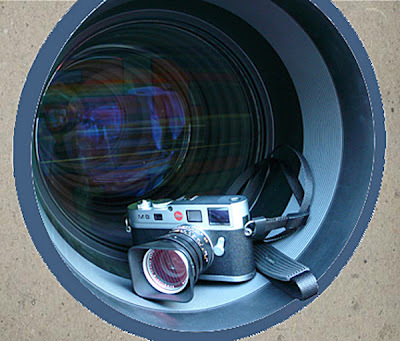 No other camera has ever been copied as much and as often as the Leica. 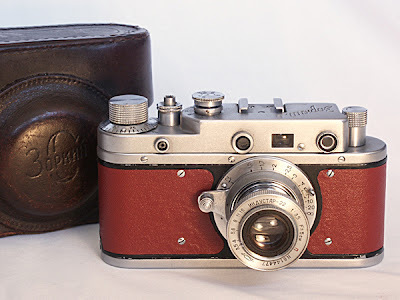 As a matter of fact, several well know camera manufacturers of today started out by copying Leica cameras. 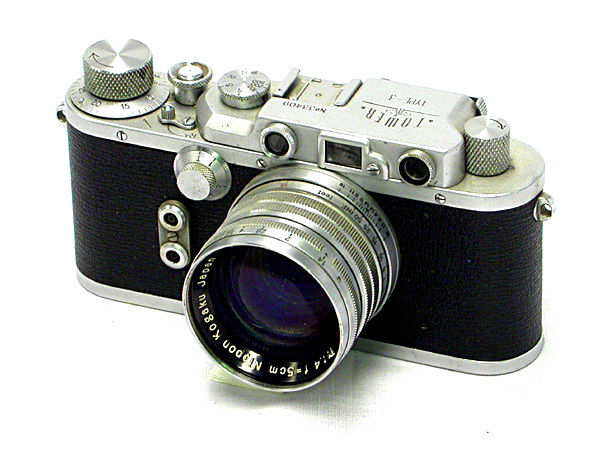 The majority of these copies originated in Japan, but Leica copies were also made in the Soviet Union, Great Britain, China and the United States. 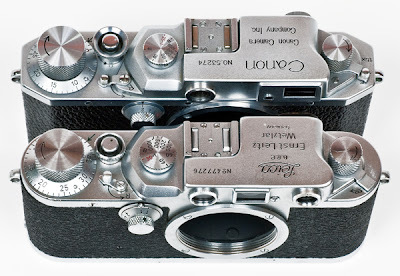 It is not the purpose of this article to list and describe every Leica copy ever made, but I hope to give a general account of how pervasive the business of copying Leicas has been. Probably the best known company to get its start by making copies of the Leica is Canon. The company was founded in 1933. Their first camera was called Kwanon, a name that later evolved to Canon. 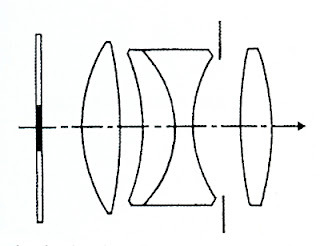 At that time, Canon had not yet the capability to manufacture lenses. They came from a different manufacturer. 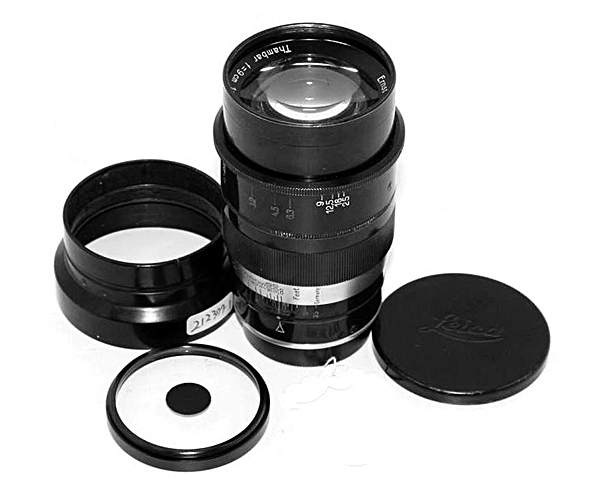 The original Kwanon lens was a copy of the Leitz Elmar 50mm f/3.5 lens. 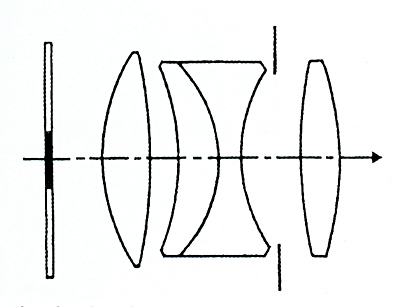 Later lenses were supplied to Canon by Nippon Kogaku, better known as Nikon. Nikon got its start by copying Zeiss and Leitz lenses. 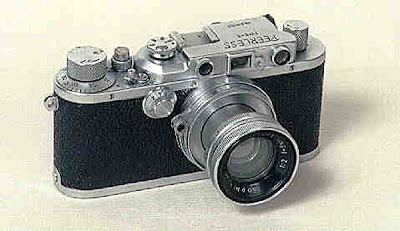 When they decided to enter the market as a camera manufacturer, they offered a copy of the Zeiss Contax, but with a Leica connection. 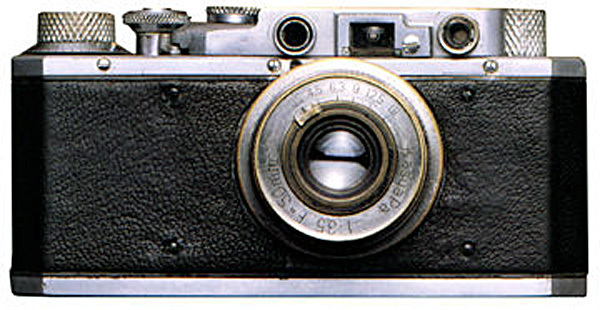 The shutter of the Contax was of a rather complicated design. Instead Nikon opted for the Leica shutter which had proven to be substantially more reliable. 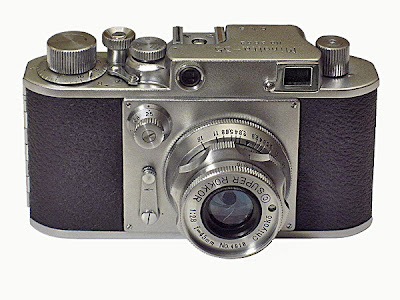 Nikon maintained the use of the Leica shutter even with the original Nikon F. This camera was essentially a version of the Nikon rangefinder camera, converted to an SLR design. Other, lesser known Japanese made Leica copies were, (in alphabetiocal order) the Chiyoca from 1950 and the Honor from 1954. 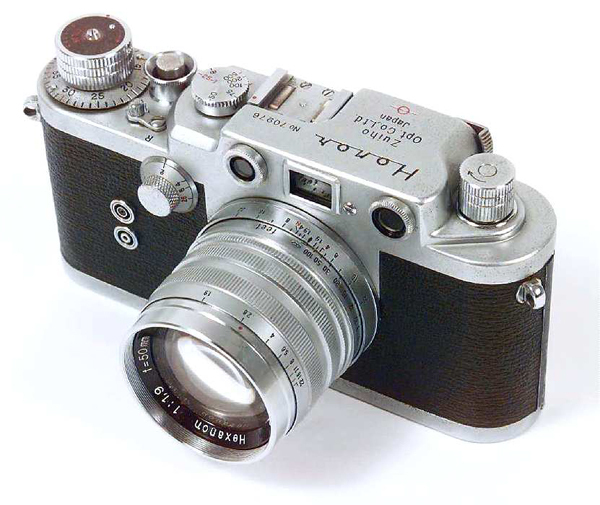 It is ironic that a blatant copy of a Leica would receive the Honor label. Another prewar example is the Leotax from 1938, made by the Leotax Camera Company, the second oldest Japanese company to make copies of Leica screw mount cameras. 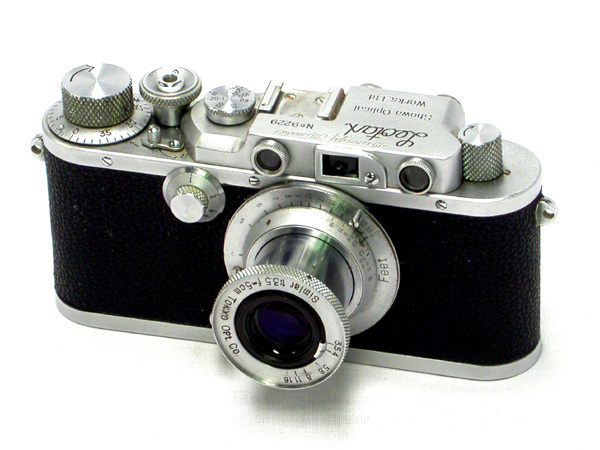 The Melcon, made by Meguro Kogaku Co. Ltd. Was another post war camera which was first made in 1954. 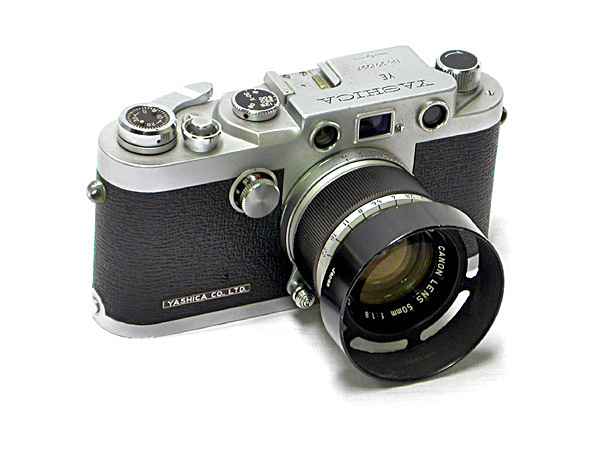 At this point of the alphabetical order, the name of another well known Japanese camera manufacturers appears on the List, Minolta. Minolta was founded in Osaka, Japan, in 1928 as Nichi-Doku Shashinki Shōten, ironically meaning Japanese-German camera shop. 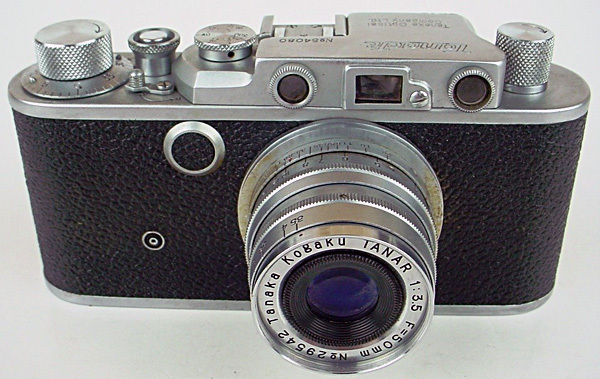 It was not until 1933 that the brand name appeared on a camera, a copy of the Plaubel Makina, another German camera. The first Leica copy didn’t appear until 1947 as the Minolta 35. The Nicca Camera Co. Ltd. started as the optical workshop Kōgaku Seiki Co. in 1940, founded by former employees of Canon. Its first camera, the Nippon, a close copy of the Leica rangefinder camera, was produced in 1942. Nicca also made cameras under the Peerless name and for Sears under the Tower name. Tanaka Kōgaku K.K. was based in Kawasaki, Kanagawa (a distant suburb of Tokyo). 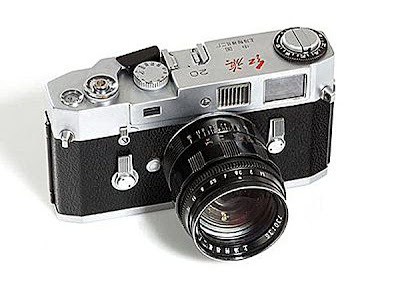 The company started to work on a Leica copy called Tanack 35 in 1952, and released the camera in 1953. 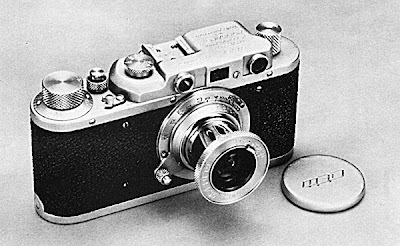 It was designed by a former employee of Kōgaku Seiki (predecessor of Nicca), who worked under Kumagai Genji on the Nippon Leica copy. 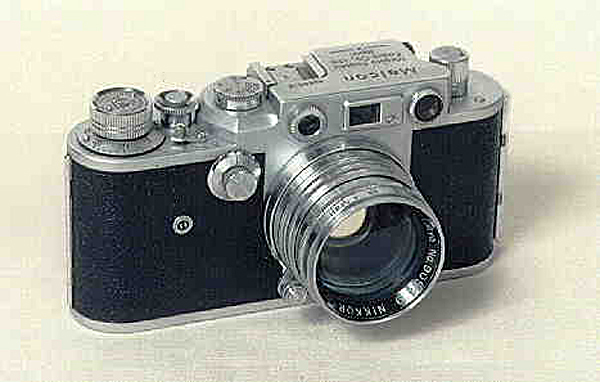 The last example of Japanese Leica copies was made by another well known manufacturer, Yashica. In 1958 Yashica bought Nicca and the YE is Yashica's first 35mm rangefinder copy of the Leica IIIF but with only a top shutter speed of 1/500th of a second. Next on this list are the Russian Zorki (meaning sharp-sighted) cameras. They were made in the Soviet Union between 1948 and 1978. 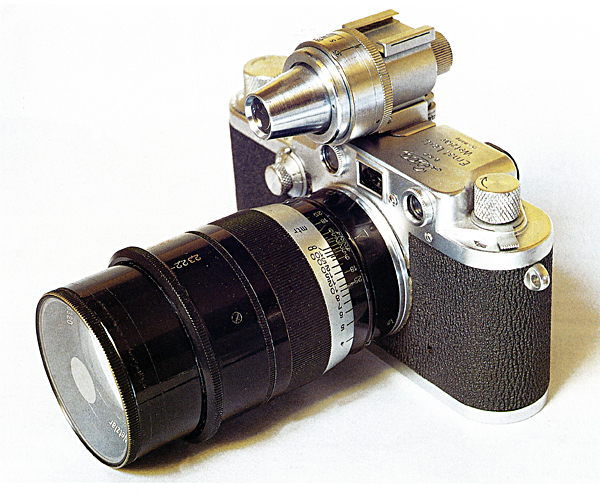 Initially the cameras were close, but crude copies of the Leica, but later evolved to different looking models that were still widely based on the Leica. The FED is another Soviet rangefinder camera, mass produced from 1934 until around 1990. Similar to the Zorki, the FED also started out copying Leica cameras with later models being somewhat redesigned, but still being widely based on the Leica. Reid and Sigrist was a British engineering company based at Desford, Leicestershire, England. They were an instrument manufacturer but later became a Camera manufacturer. 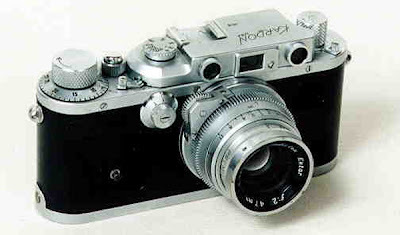 After the Second World War the company was requested by the British government to produce the Reid camera based on Leica patents and drawings. 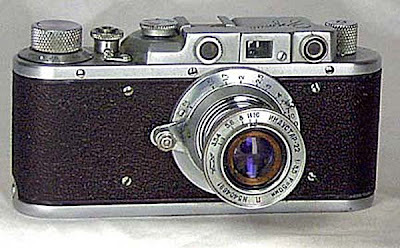 The first camera went on general sale in 1951 and the company produced cameras until 1964. The Reid III is based on the Leica III series and was first introduced in 1951. In 1958 they introduced a simpler version, the Reid I, also based on Leica patents and drawings. Even the US was not above copying Leica cameras. They were made by the Premier Instrument Corporation under the direction of its Russian-immigrant president, Peter Kardon. 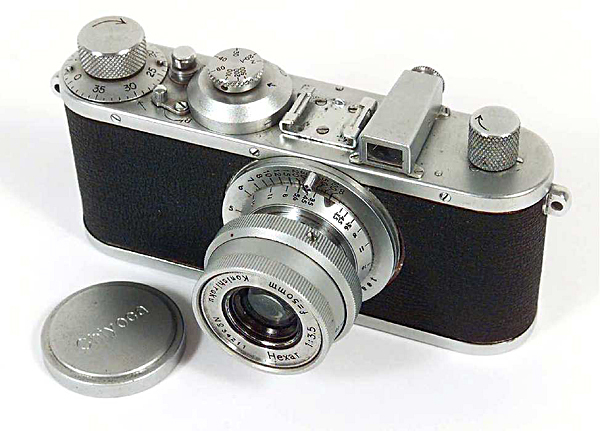 Based on the Leica IIIa, the camera entered the market in 1941 as the Kardon to fulfill the Army’s need for an American version of the Leica. Thus our excursion into the world of Leica copies ends. 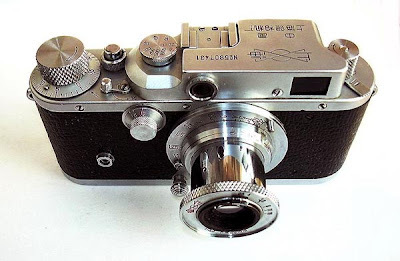 I am sure there are other examples out there, but, as I said at the beginning, this wasn’t meant as a complete account of all the Leica copies ever made. 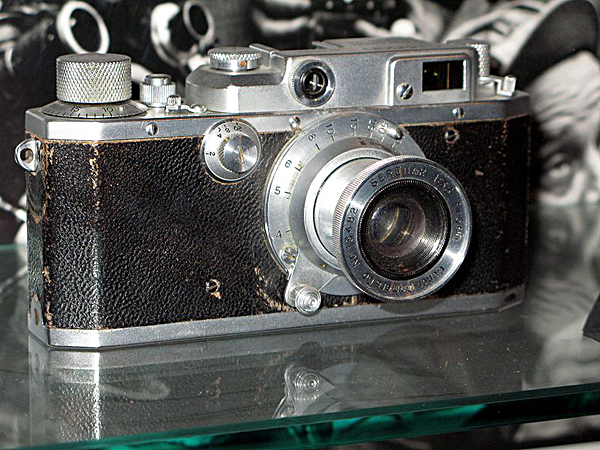 However, I hope that I succeeded in giving a broad overlook of this intriguing segment of the history of the Leica. LEICA M - 24 MEGAPIXELS - INADEQUATE?